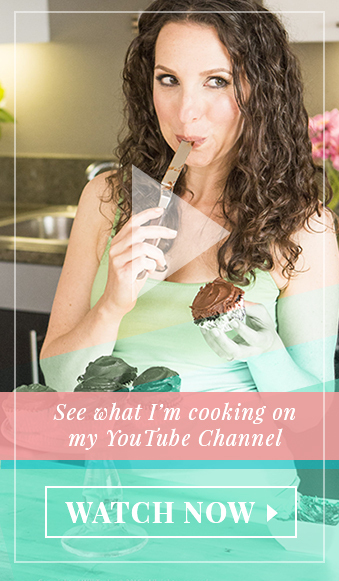 I hope you enjoy this decadent yet healthier comfort food as much as my family does! Bring 2 large pots of water to boil. In the other pot, cook the cauliflower for about 10 minutes – until very tender. In a Vitamix, or with an immersion blender, blend all the ingredients except for the pasta. Mix the pasta and sauce, together. Do it gradually, you may have a little sauce left over. You can stop there, or transfer Mac ‘n Cheese to a glass baking dish (I used a 13×9 dish, and had a little room on one side) top with Panko crumbs, and bake until golden brown on top. About 10 minutes. 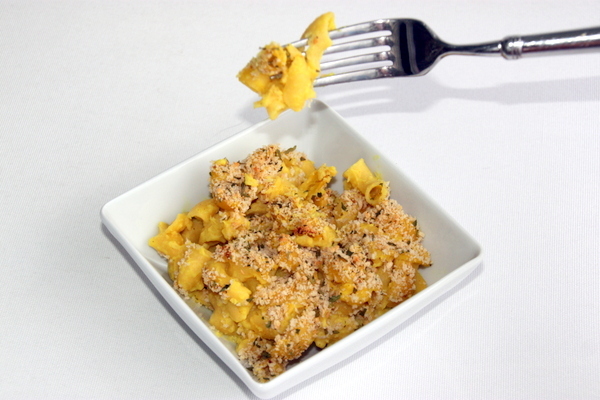 I tried your cauliflower mac and “cheese” – so yummy! 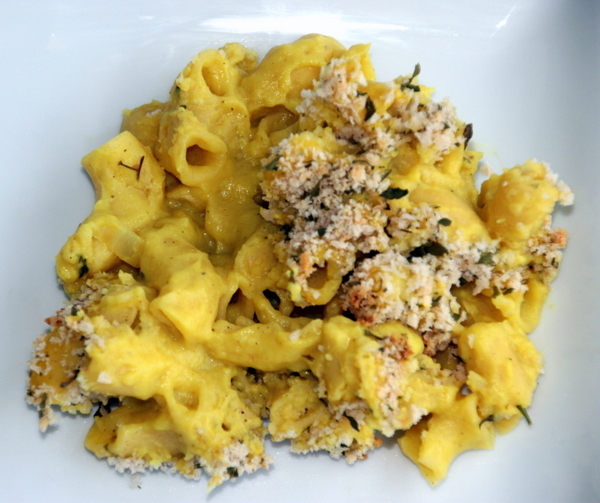 I served the Cauliflower Mac and Cheese today. 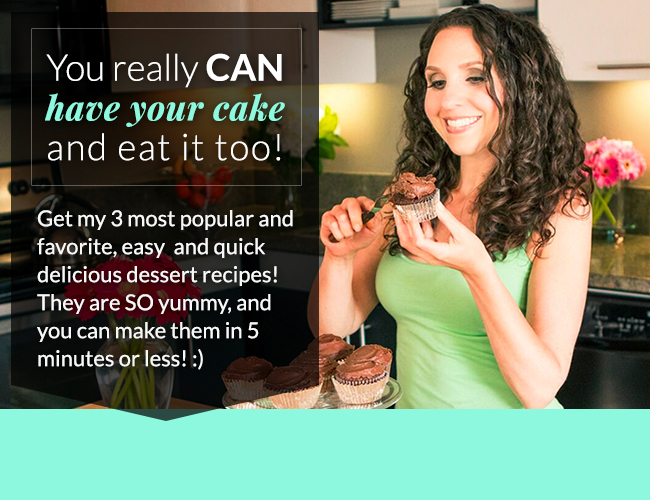 It was a super hit, similar to your veggie loaf recipe. It was easy to prepare, room to be flexible with the ingredients, fool proof.